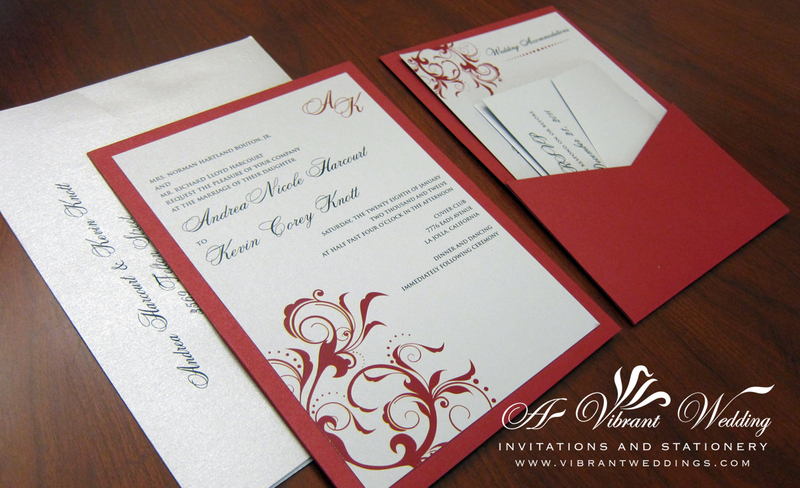 $8.00 per invitation suite fully assembled for 100 invitations. Please contact AVW for an estimate on a different quantity. 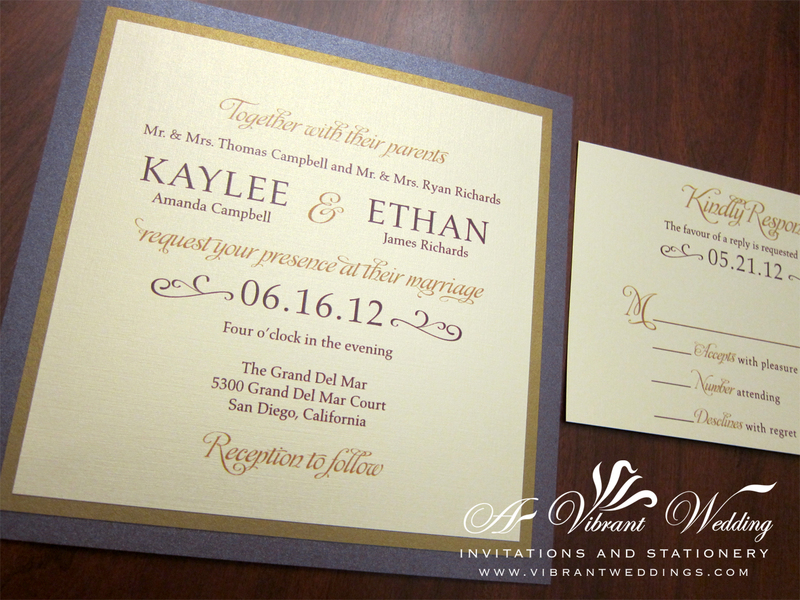 Includes 5×7″ Pocket-fold invitation, 3.5×5″Response card and two blank metallic envelopes. 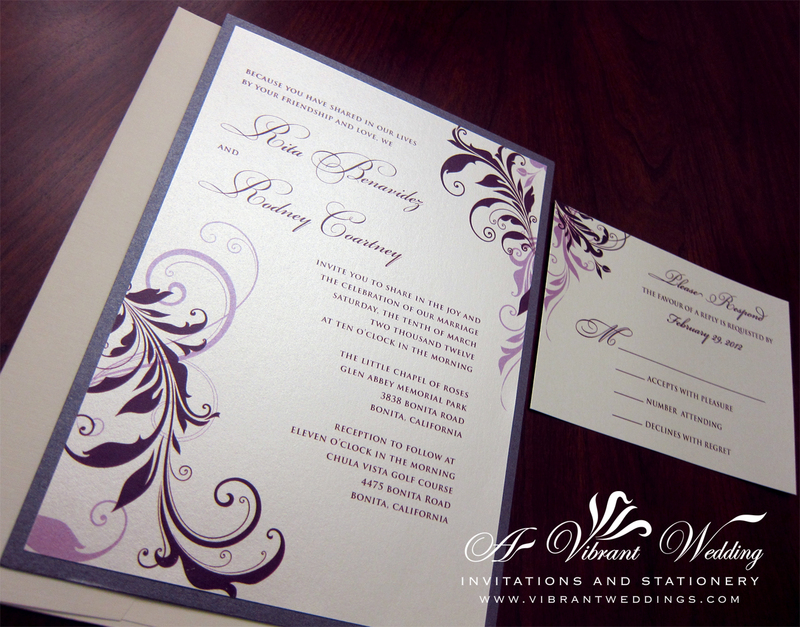 5×7″ Metallic Pocket-fold style invitation with a single-layered printed invitation on the inside, single-layered printed outer seal, all on metallic card-stock paper. 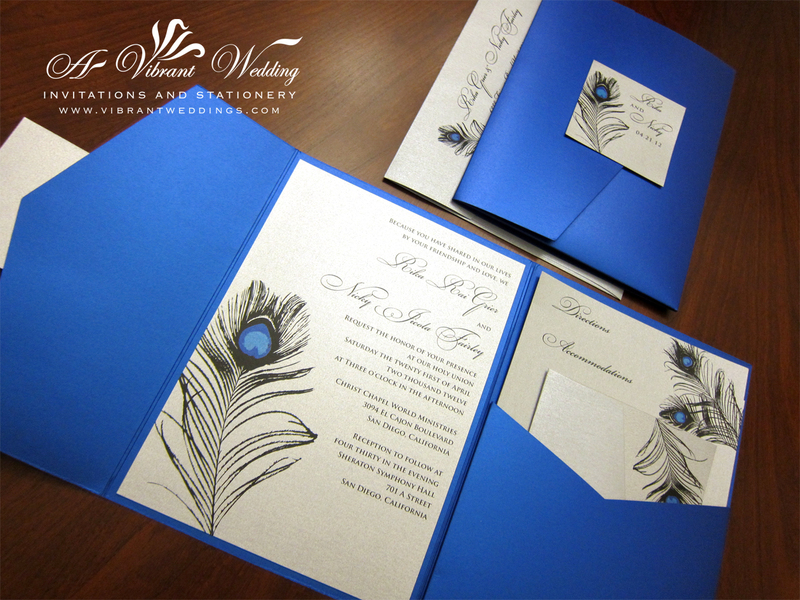 Metallic Blue & Platinum Wedding Invitation With Peacock Feather Design, 5x7" Signature Side-Pocketfold Style, Single-layered platinum Invite. 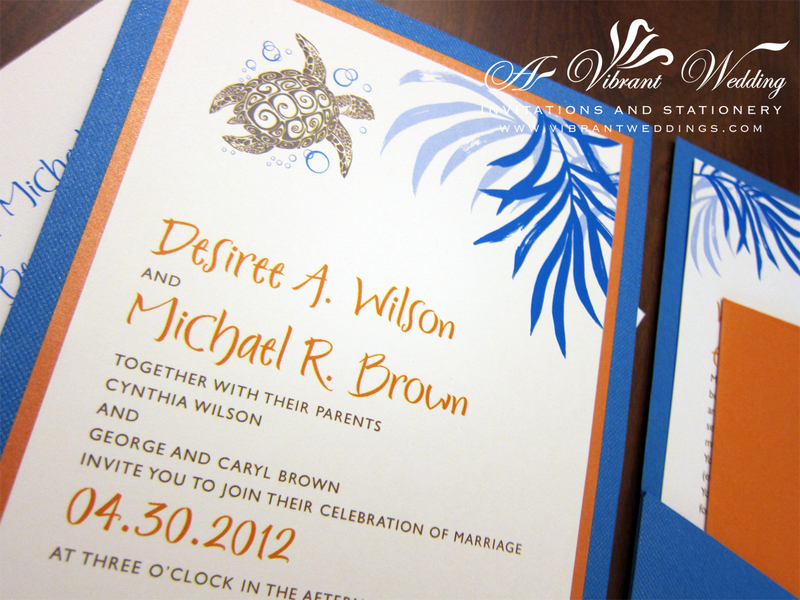 $5.00 per invitation suite for a set of 100 invitations. 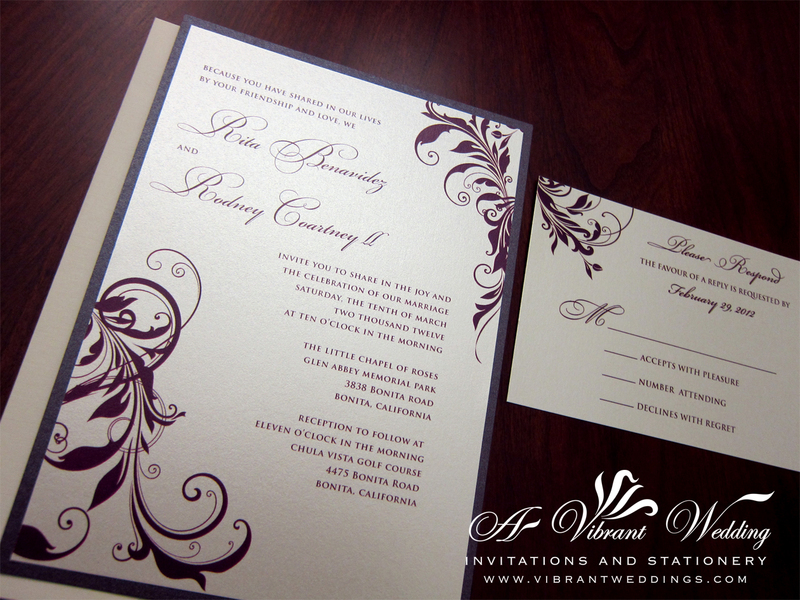 Included are Double-layered Invitation, Response card, and two blank metallic envelopes (White, Ivory). 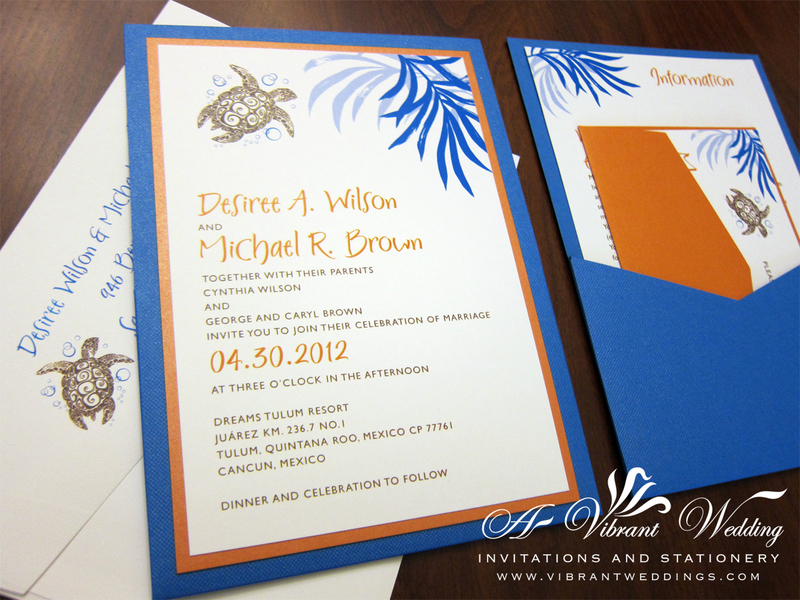 $7.00 per invitation suite fully assembled, for a set of 100 invitation suites. 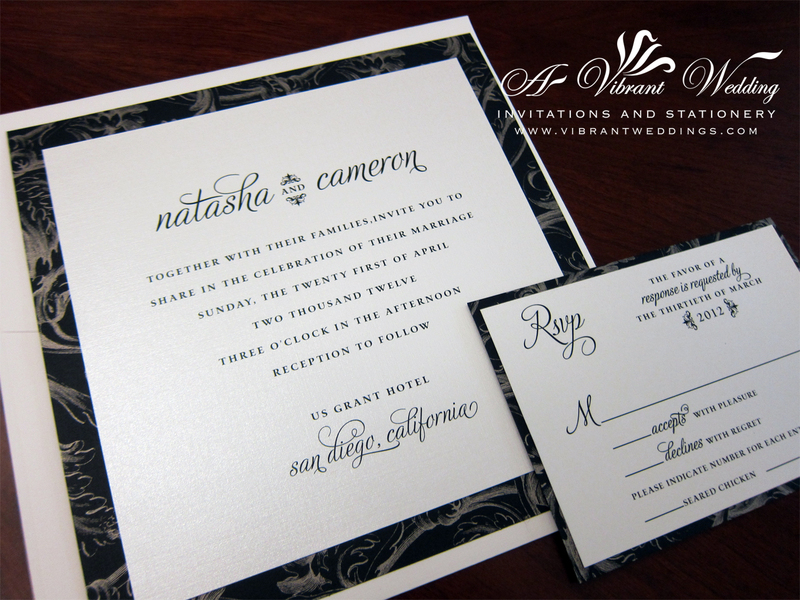 Included are 7×7″ Triple-Layered, Traditional Flat Style invitation, Double-layered RSVP card and two blank matte linen envelopes. 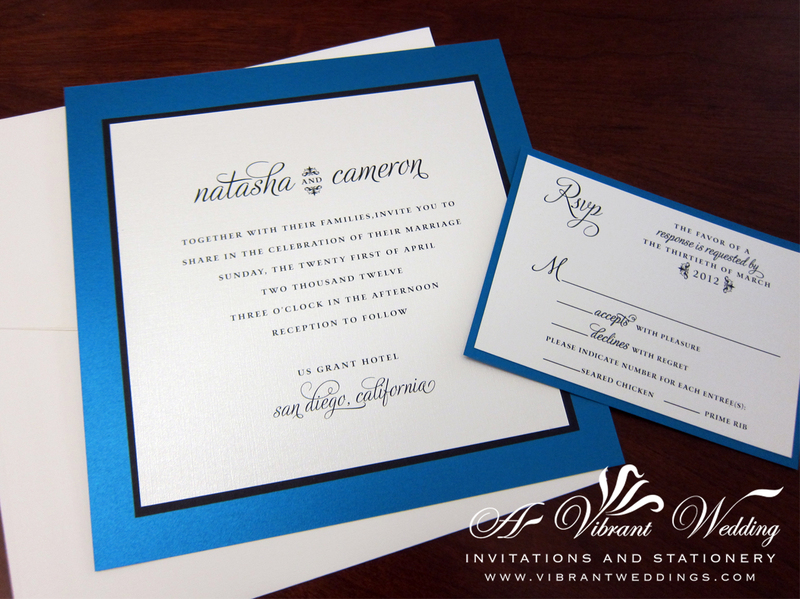 Electric Blue & Black Wedding Invitation - Modern Contemporary Design, 7x7" Triple-layered invitation. 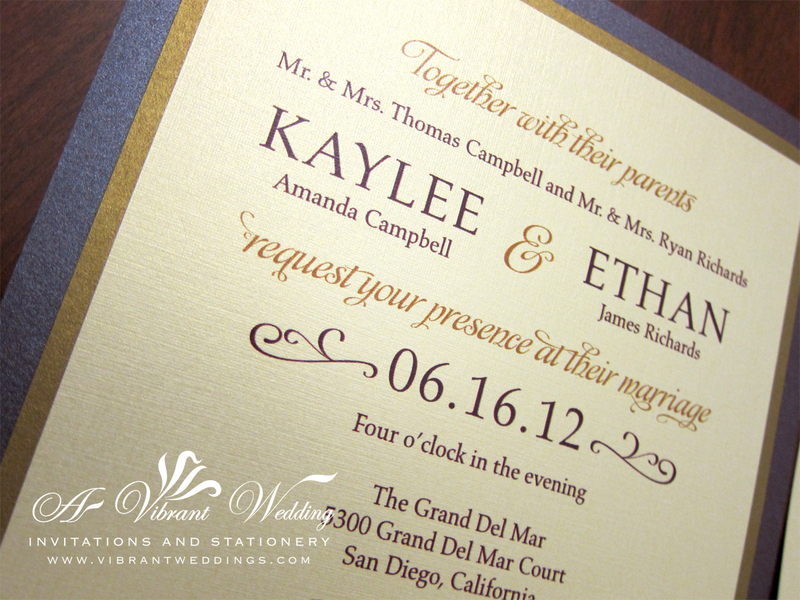 $6.00 per invitation suite for a set 100 invitations, fully assembled. 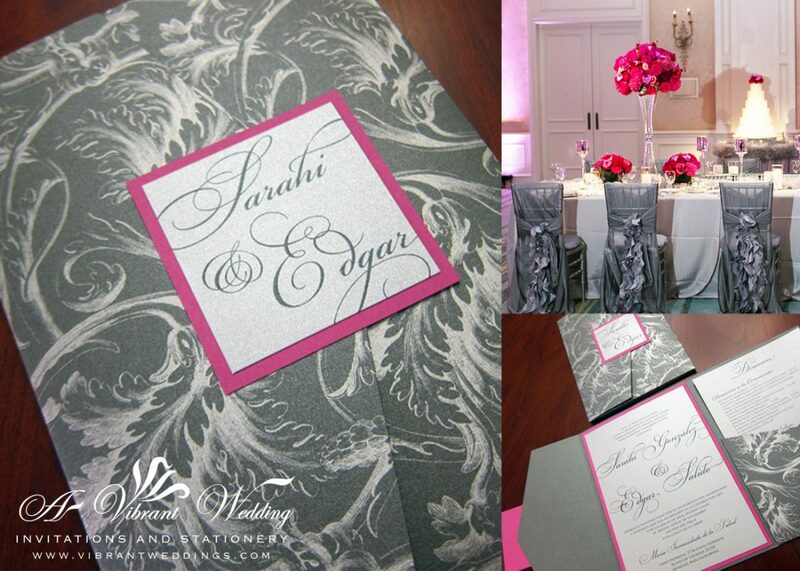 Included are 7×7″ Double-Layered Traditional Flat Style invitation, Double-layered RSVP card and two blank matte linen envelopes.